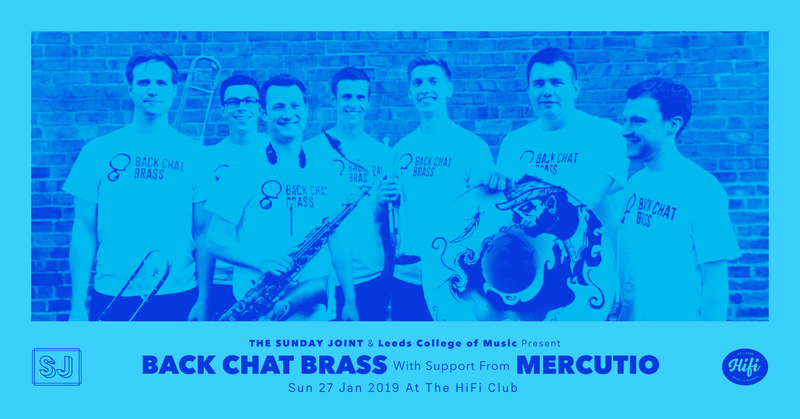 For our second date in 2019, on 27th January, we welcome pop-merchants Mercutio to support the brilliant Back Chat Brass, who return to the basement yet again. 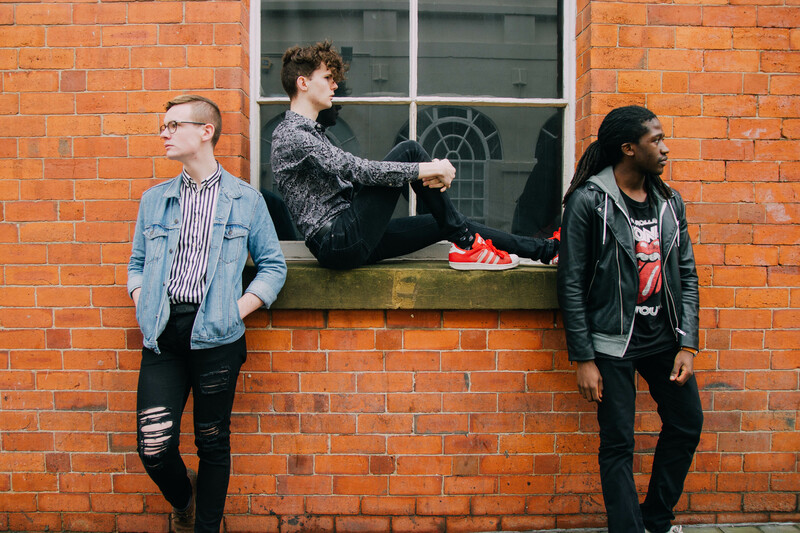 We spoke to the LCoM band to get a sense of what to expect on the night. We had our first jam on Halloween 2017 as a three piece and stayed as that unit for a good long while – we eventually went on tour with just the three of us. Ben was on vocals at that point, but it was over last summer that Kate joined to front the band along with our horn section. So it took a while for Mercutio to be the PowerHouse that we are now but it was so worth the wait! We take influence from so much music, across time and space, so our sound is a melting pot of everything we listen to. Our soundscapes are often inspired by the Eighties but the we cross styles into Indie, Rock, Pop, Funk, Soul, R&B, Hip-Hop and Jazz. We like to take the audience on an adventure when we play, dancing with every step. We were aiming to write in an Indie style, but as soon as we started playing together, other influences and styles were being incorporated. So rather than limit ourselves, we decided to let our influences grow the band into our sound today. With the addition of Kate and the horns, Mercutio’s sound has changed drastically – there’s so much more energy when we play now, it’s a real party. The music scene here is brilliant – nothing like what any of us expected when moving here I don’t think. Leeds has played a huge role in bringing us lot together as well as influencing our music. 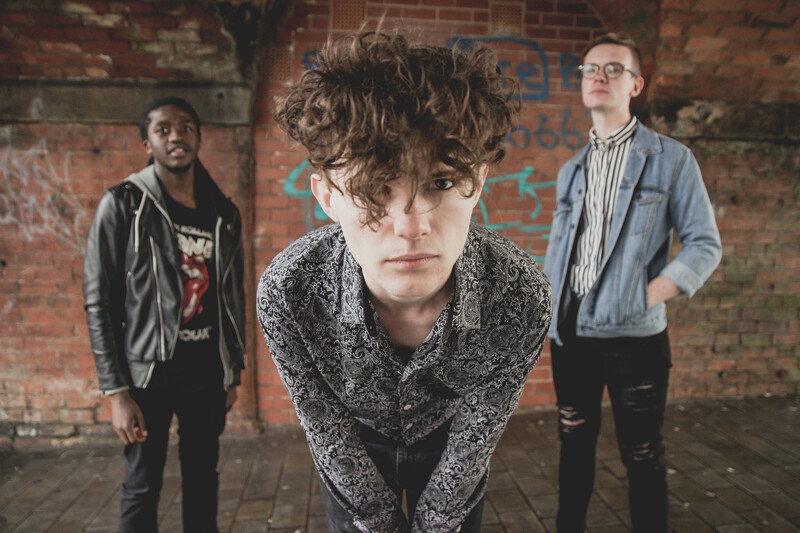 Being in Leeds has and still is providing us with endless opportunities to play and show our music on all levels, as there are venues of all sizes, and music festivals throughout the year. When we’re not playing as Mercutio, we all have other projects on and life becomes a general mix of eat, play, explore, sleep, repeat. We love our adventures in Mercutio, any excuse to get out and about exploring our city. Ooh, this is an interesting one. Tan (Drummer) is on the Folk course, Stu (Sax), Maurice (Bass), Ben (Guitar) and Emyr (Trumpet) are on Jazz, Aidan (Trombone/Keys) is studying Production and Kate (Vocals/Guitar) is on Song Writing. We have had an amazing time at LCoM so far and have had some incredible experiences and opportunities since studying there; Mercutio wouldn’t exist unless we had all met at LCoM. The most significant thing we’ve learnt? That’s tough and I think you’ll get a different answer from each of us. Let’s see… don’t underestimate the importance of look after yourself – physically, mentally and socially! Remember to have fun and spend time with people you love on the rainy days! Well, a lot of us are superfans of The 1975, so lots of inspiration comes from them. We love the 80s in general, especially the synths and the New Romantic fashion. Another huge element is the Romeo and Juliet link – Mercutio is the coolest dude in that play, he stays neutral and focuses on having fun rather than getting involved and yet he still ends up being stabbed. This example of knife crime being just as present today as it was portrayed in 1595 is something we want to explore more; what would Romeo, Juliet and Mercutio make our society today? What other themes in the play are still preeminent today? Love has been complicated since time began but still prevails. Undoubtedly The 1975 at Latitude Festival 2017. It was the last ever show of the ‘I Like It When You Sleep’ era and they put on an incredible performance. It the only show I’ve ever wanted to watch again straight after it finished. We’re going to see them just before we play HiFi so we’ll be freshly inspired and ready to ROCK! Our perfect Sunday starts with Mercutio and friends waking up together at one of our houses, cooking up some breakfast and deciding what adventure we shall be partaking of. Sunday’s are for seeing where life takes you. We can’t wait for one of our biggest adventures yet to The Sunday Joint!